I never knew there was so much to noseriding a longboard till I talked to one of the best noseriders I know, Chase Carlston. This guy lives right nearby me in Hawaii. He can usually be found spinning around on a soft-top with no fins in, but if you are lucky enough to catch him with his Maxx Dexter shaped longboard, then you are in for a real treat. I surfed a small day at Rocky Point with Chase during the spring and couldn’t believe how good he is at noseriding. I soon found out from him that the board he rides makes it all possible, so I questioned him further about his Maxx Dexter Surfboard to see exactly how this board is shaped specifically for noseriding. 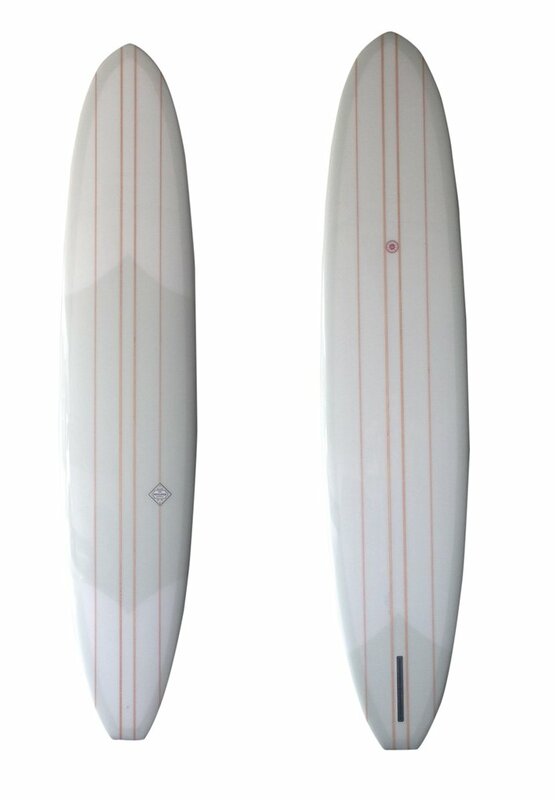 This Maxx Dexter Surfboard is 9’10” long. A standard longboard blank is fat in the front and skinny in the back, and this surfboard was actually shaped backwards, so the back end is the fat part and the front is really skinny. There is also a ton of concave moving toward the front of the board. The fat back helps to create suction to the water while you have all your weight on the nose. The huge amount of concave also helps the board stay in position while you are noseriding. For noseriding, you want a huge, fat fin in the back. But, as Chase mentioned, he likes to be able to noseride and turn, so he uses a couple of different fins that are good for cutbacks as well. If noseriding is what you want to progress in, then hopefully you learned something new about noseriding longboards. I definitely did during this process. I should add that I tried Chase’s board shortly after talking to him about it and it was definitely a unique feeling compared to the usual longboards that I ride.